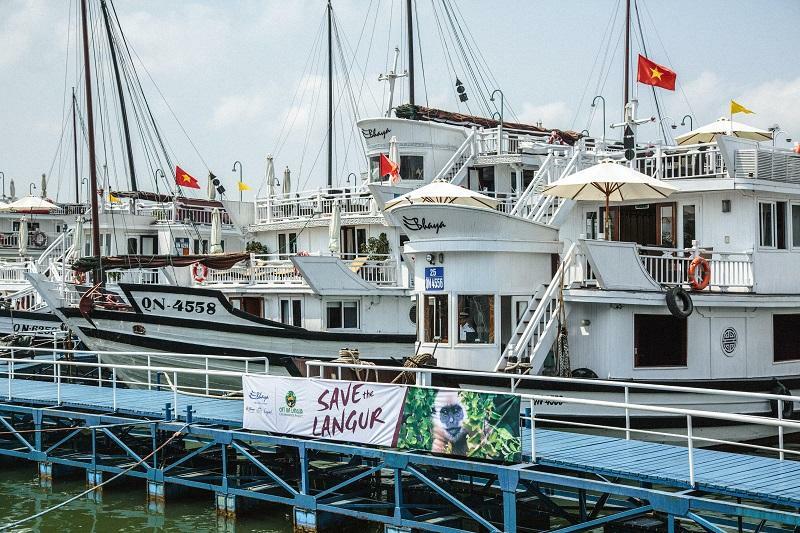 As the first and foremost leader of sustainable cruising in Vietnam’s precious Halong Bay, Bhaya Cruises has been taking the advantage of this festive season to promote eco-friendly sailing not only to our staff but also to our valued passengers. 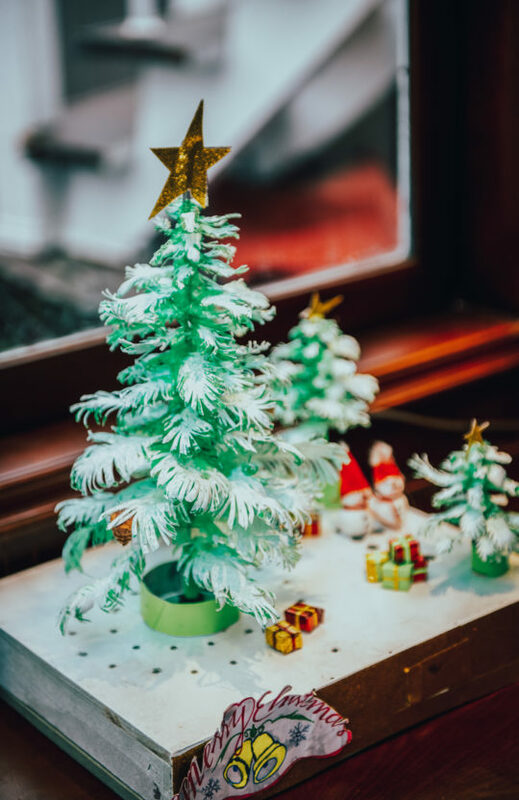 Bhaya’s looked forward to surprising its passengers this holiday season with Christmas trees made exclusively out of recycled materials, which were made during an exciting competition launched in November to encourage our staff’s imagination and creativity. After a month of hard work, Bhaya Cruises is proud to present 8 masterpieces belonging to our 3 different cruise brands: The Bhaya Classic, The Au Co, and The Bhaya Legend. The trees come in different shapes, sizes and materials. 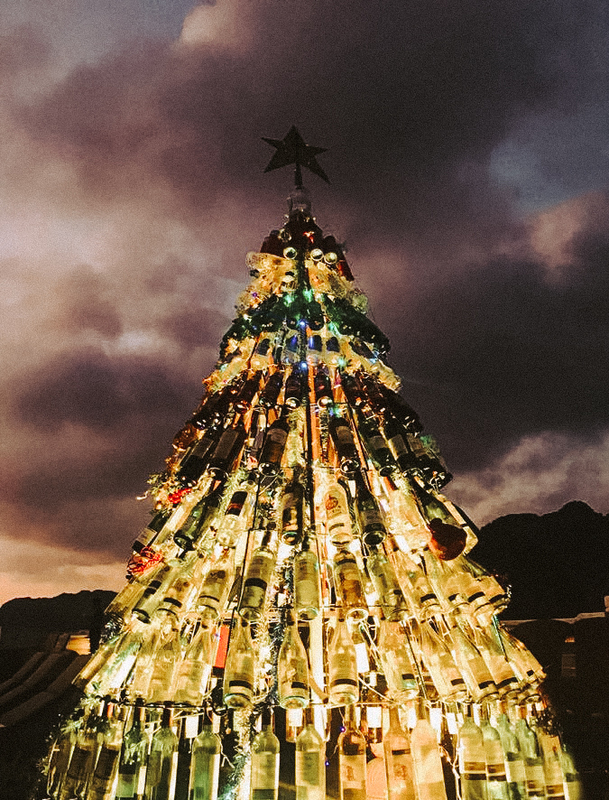 While The Au Co No.1 amazed everyone with a giant 3-meter tall Christmas Tree made from hundreds of wine and champagne bottles, The Bhaya Legend No.5 used wooden corks to create a miniature-sized version of an evergreen tree. 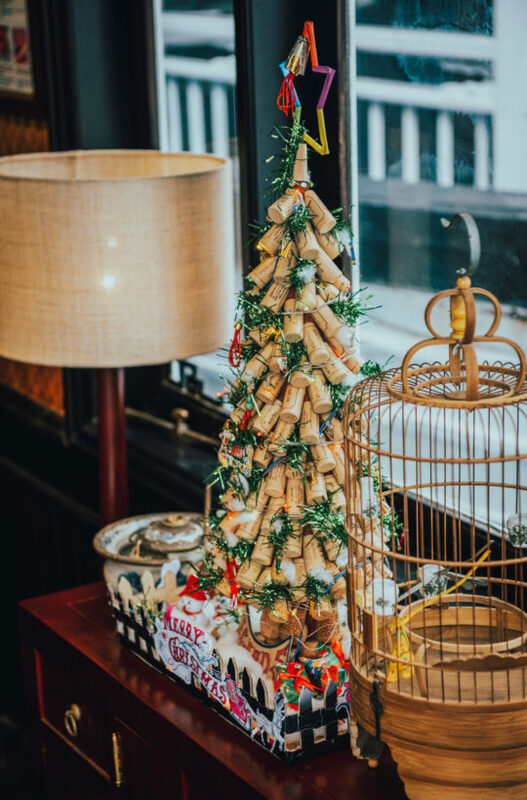 Our talented crew continued to impress passengers by also creating exquisite ornaments to adorn the creative Christmas trees. 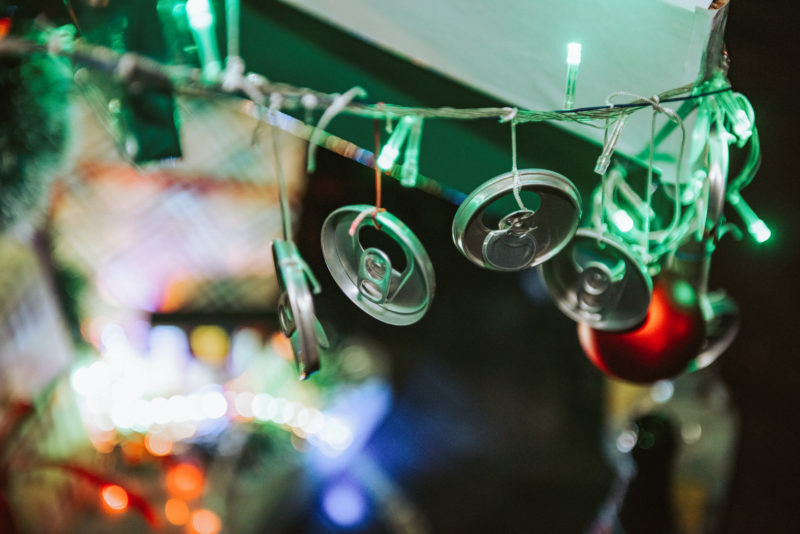 The Bhaya Classic No.2’s Christmas tree has shimmering pieces of aluminum jingling like windchimes whenever a sea breeze passes by. And The Bhaya Legend No.7 crew’s surprised everyone with their engineering skills by inventing a Christmas tree that can spin in a circle while playing festive songs! These Christmas trees are placed in various locations throughout our entire fleet. 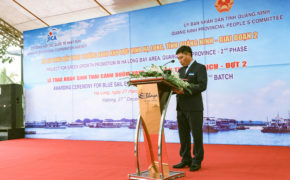 Some can be found on the sundeck of the ships for passengers looking to admire the twinkling fairy lights amidst the exotic beauty of Halong Bay, an acclaimed UNESCO World Heritage Site. Others are located in the lobby or restaurant to enhance the cozy feelings of the festive season. 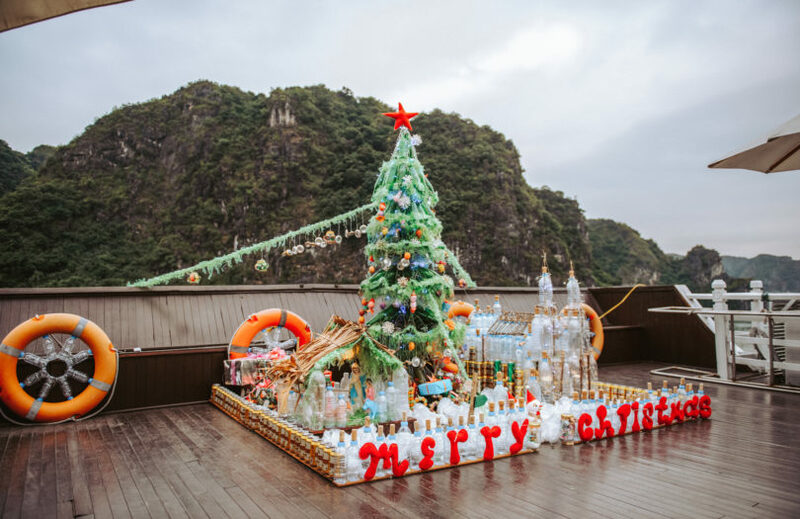 The recycled Christmas trees are only one of many of Bhaya Cruise’s efforts to protect Halong Bay and its ecosystem. 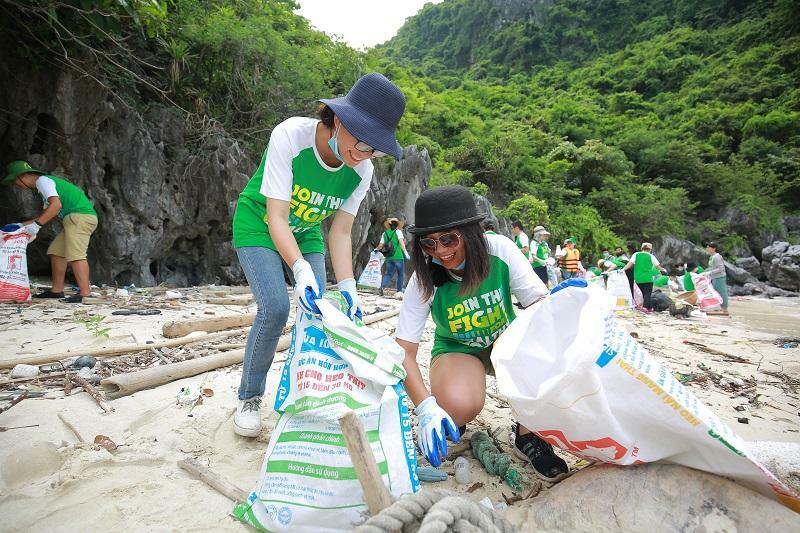 To discover more about our Corporate Social Responsibility activities, please visit HERE.